Easy 4K matrix switching for two HDMI sources and two HDMI display devices. Switch high-resolution video plus audio from two sources to two displays in any combination. Control from the front panel, with the included IR remote controller or RS-232. 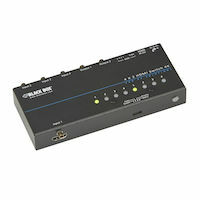 Send digital signals to any or all outputs simultaneously. 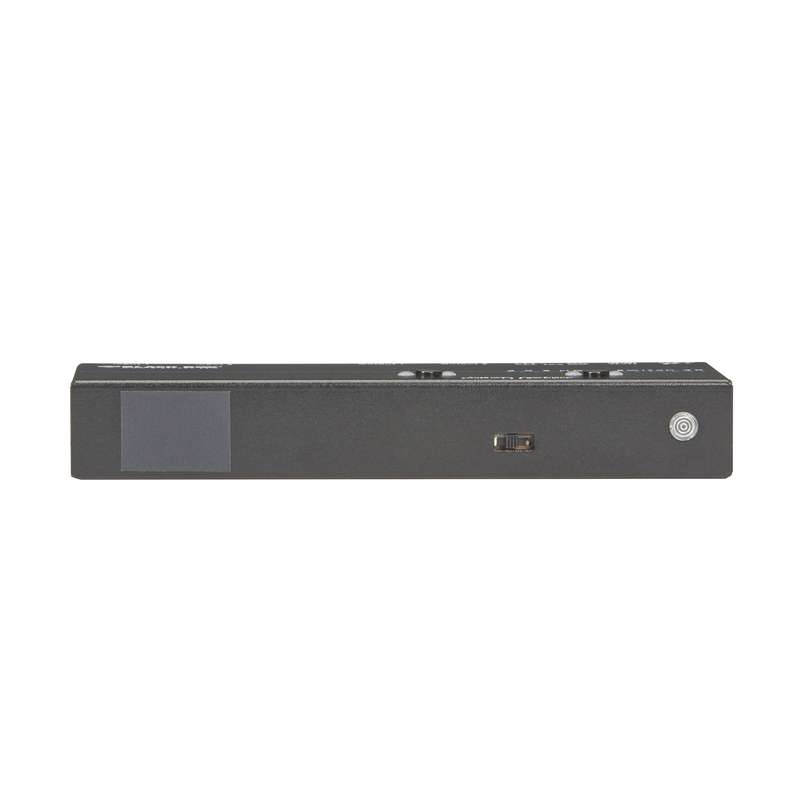 The 4K 2 x 2 HDMI Matrix Switch provides unrivaled versatility when controlling video and audio output on high-resolution HDMI displays. 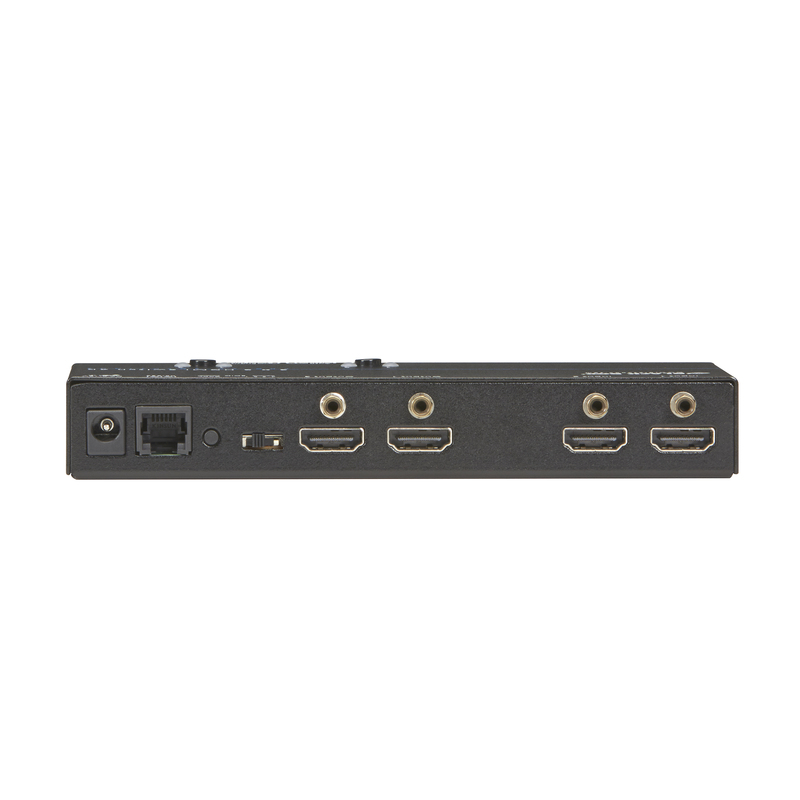 Each input can be routed to any output, or the same input can be routed to all outputs or any combination, eliminating the need to manually move cables to display HDMI video from different sources on different screens. The switch supports sharp, UHD 4K video and works with wide range of resolutions from PC XGA to WUXGA 1920 x 1200 and HDTV/DTV resolutions 480i/480p, 576i/576p, 720p, 1080i, and 1080p. It also carries the high-speed digital video signaling of TMDS formats for 10-, 12-, 16-, or 32-bit Deep Color. Plus, it provides support for 19:10 aspect ratio, data rates up to 6.75 Gbps, and 3D formats. It's ideal for corporate theaters, meeting rooms, classrooms, and broadcasting studios. When used with digital signage, the switch enables you to quickly switch a display from one digital signage source to another. Switch using front-panel buttons, the included IR remote controller, or an RS-232 connection. Compatible with all HDMI source devices, PC monitors, plasma HD displays, HDTV, and audio receivers/amplifiers. Remembers the last state during a power cycle. HDCP 2.0 compliant and Blu-ray ready. Supports auto EDID function, as well as manual copy for compatibility with every monitor. Front-panel LEDs show automatic scanning input and output status. 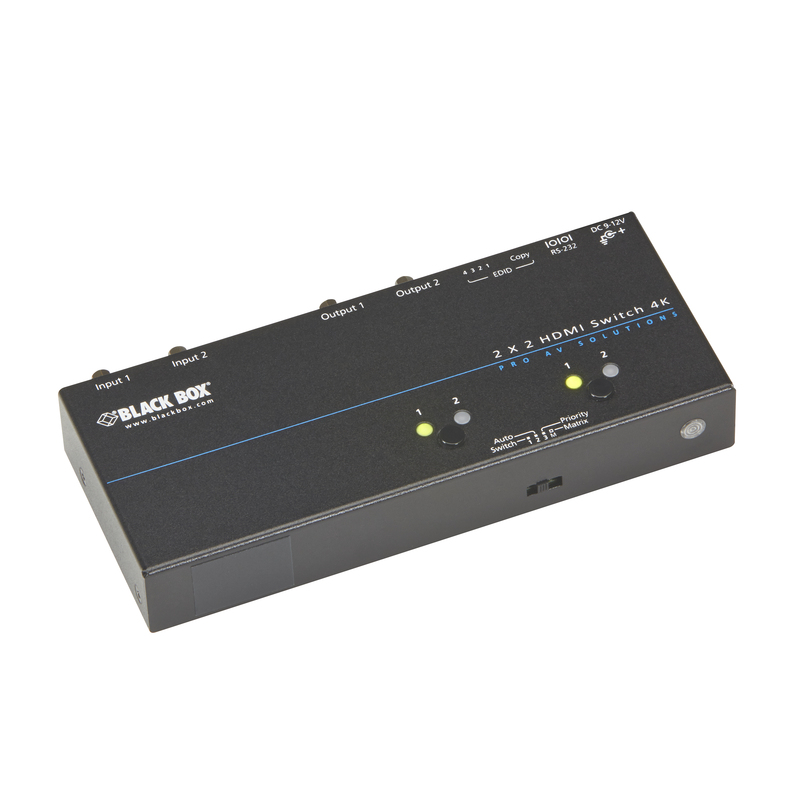 The 2x2 4K HDMI Matrix Switch comes with a standard 3 Year Double Diamond™ Warranty (Standard) already included.